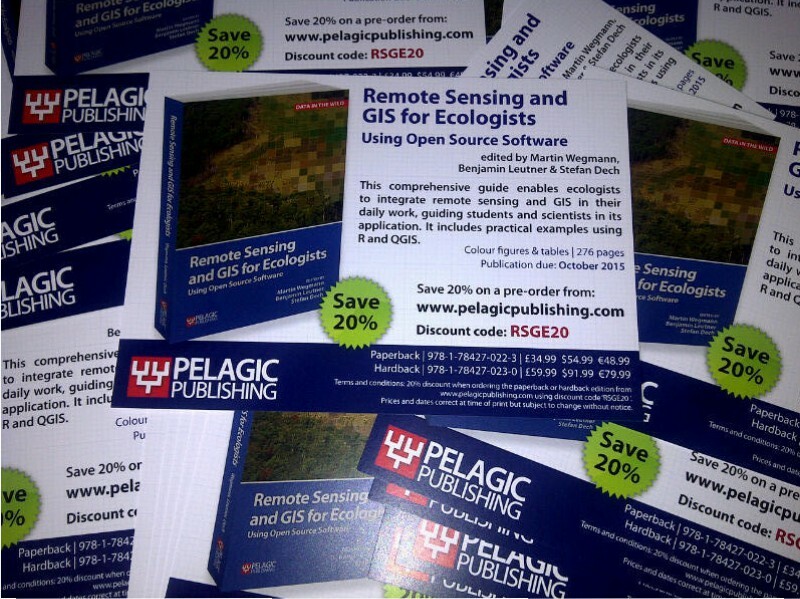 Our book “Remote Sensing and GIS for Ecologists – Using Open Source software” will soon be available. We worked through the 3rd proof and fixed all remaining issues. Looking forward to the printed version. 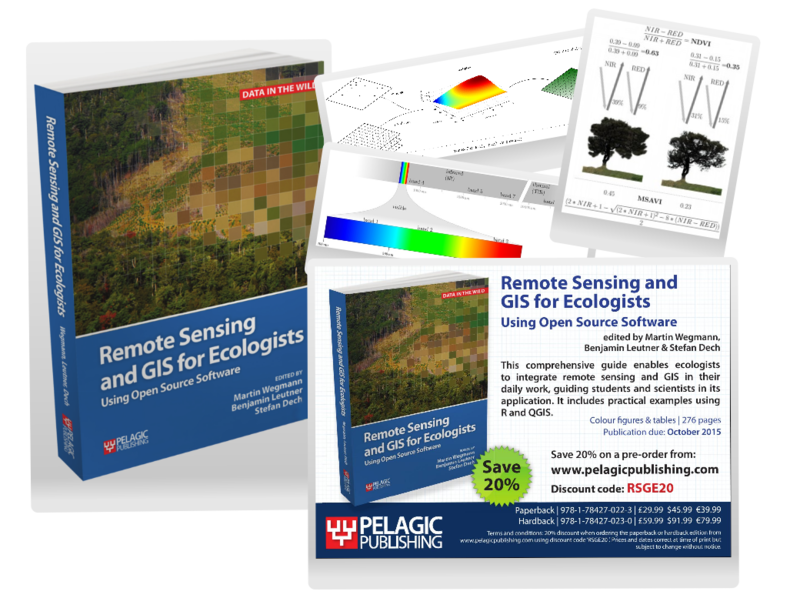 The book offers a great overview of Remote Sensing applications using Open Source software, mainly R but also QGIS and provides you with working code to practically redo the analysis outlined in the book. The new RStoolbox R package which has been developed in parallel to the book is used extensively.